Tokyo prosecutors have re-arrested Carlos Ghosn, the former chairman of carmaker Nissan, who was released on bail in the probe into the misuse of the company's funds, local media reported on Thursday. Ghosn was released on bail in early March after spending over 100 days in custody. Japanese media have reported that the prosecutors sought to re-arrest the ex-Nissan chairman on suspicions of aggravated breach of trust. The NHK broadcaster reported, that before 06:00 a.m. local time on Thursday (21:00 GMT on Wednesday), the prosecutors entered Ghosn's residence. At around 07:00 a.m., a car carrying Ghosn reportedly arrived at the prosecutors' office. The broadcaster noted, citing sources, that the arrest was related to suspicions that over $34 million had been paid from the Nissan reserve funds to an Omani dealership office allegedly for a yacht that Ghosn was allowed to use during his tenure as the company's chairman. The ex-chairman's defence team reportedly insists that the dealership received the funds as remuneration for conducting business for many years and denies Nissan's involvement with the yacht purchase. Ghosn was detained on November 19 and was indicted, alongside former Nissan senior executive Greg Kelly, on allegations of having under-reported about 5 billion yen (about $44 million) of his salary between 2010 and 2015. 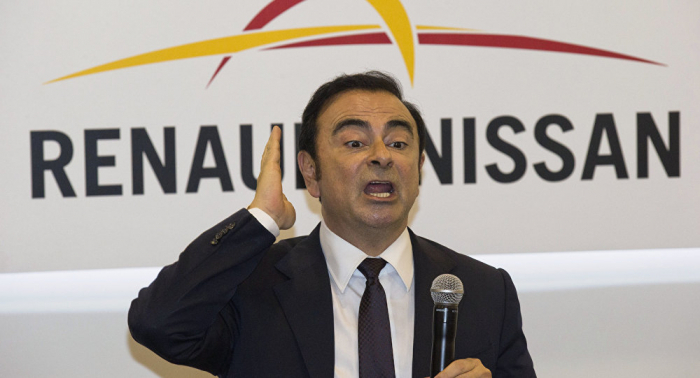 Ghosn has denied all accusations brought against him. Following his initial arrest, Nissan removed Ghosn from the post of its chairman.